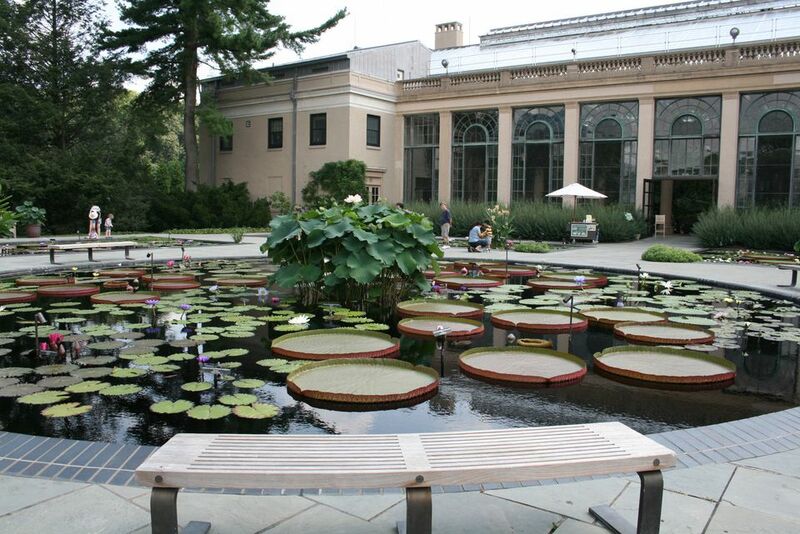 Located in the heart of the Brandywine Valley near Kennett Square, PA is the nation's foremost horticultural garden, Longwood Gardens. The property today known as Longwood Gardens was originally owned by William Penn who in 1700 sold 402 acres of land to George Peirce. Peirce's descendants established a working farm and also began planting an arboretum which by the mid-1800's contained one of the finest collection of trees in the nation. The area became known as Peirce Park. In 1906, when trees on the land were about to be sold for timber, Pierre Samuel du Pont, chairman of the Dupont Company and General Motors Corporation, purchased the property. Throughout his life, du Pont continued to develop the property and welcome the public to share in its beauty. Mr. du Pont maintained a summer retreat on the property. When du Pont died in 1954 he left the Gardens "for the sole use of the public for the purposes of exhibition, instruction, education and enjoyment." Today, the gardens are run by Longwood Gardens Inc., a not-for-profit organization which receives no government funding. The primary funding for the upkeep of the Gardens still comes from Pierre du Pont's endowment as well as from admission income and sale of merchandise. Longwood Gardens today consists of 1,050 acres of gardens, woodlands and meadows; 20 outdoor gardens, 20 indoor gardens, numerous fountains including the Main Fountain Garden near the Conservatory. Longwood maintains numerous educational programs and is well known for producing some of the best-trained experts in horticulture in the world. Throughout the year, numerous arts and entertainment events are held in the Gardens. Fireworks and Fountains - This spectacular show will go off for six nights in 2017. See their website for dates and tickets. Live Music in the Beer Garden - Every Thursday throughout the summer from 6 pm to 9 pm. Illuminated Fountain Performances - Thursdays-Saturdays at 9:15 throughout the summer. A Longwood Christmas - Seasonal plants, strolling carolers, and more. November 23, 2017–January 7, 2018. Check their website for special hours. For more information call 610-388-1000. Longwood Gardens is located on U.S. Route 1 about 3 miles northeast of Kennett Square, PA, 30 miles west of Philadelphia and 12 miles north of Wilmington, DE.